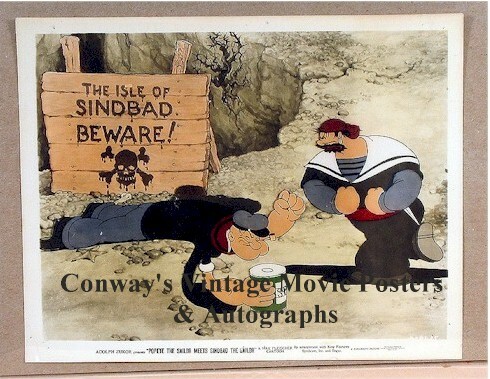 This is a beautiful rare ORIGINAL full color 8x10" still featuring Popeye the Sailor Meets Sinbad the Sailor. 1936. Very nice cond. We have never seen anything like this! An incredible, VERY RARE vintage still with spectacular "Popeye" artwork! AND, in Great condition!